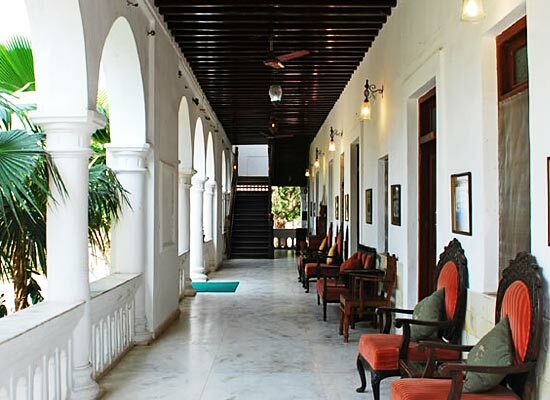 "Originally built to serve the English guests in the princely state of Sayla, The Bell Guest House now stands as a Heritage Hotel for the travelers. The imposing structure is designed in an Indo-European architecture, with wide and lush gardens and lawns. The complex gives justice to the label of a heritage home and provides great comfort. The Bell Guest house is one of the finest options for a leisure holiday, with its peaceful environ and the relaxing nature of the house. However it can also prove to be a perfect business stay, due to its proximity with the major industries and power plants. Sayla, where the Bell Guest House stands now, was one of the princely states of the Jhala Rajputs. In 1751, Seshmalji after his victory over the Kathi Darbars made Sayla the capital of his state. 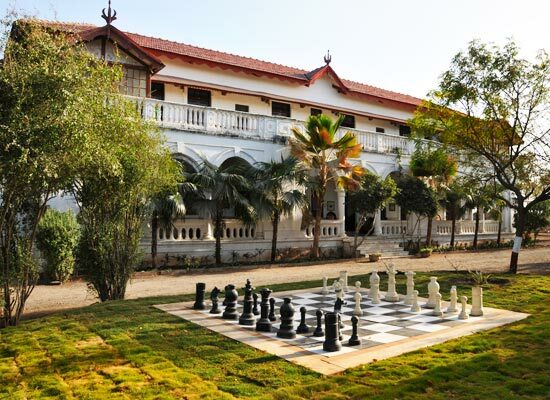 He contributed in making the fortified walls and other structures in Sayla, interestingly; the Rajmahal (palace) is still the residence of the Jhala family. There are numerous paintings, carvings and other attractions in the big halls of the palace. The last record of the rule in the area is that of Thakur Saheb Vakhat Sinhji, in the 19th century. He encouraged industrial development and set up some productions and thermal powers in Sayla. The Bell Guest house is now a renovated heritage home stay, offering the modified hospitality of the previous rulers of Sayla. The whole complex is an ideal place to rejuvenate and spend your leisure time. 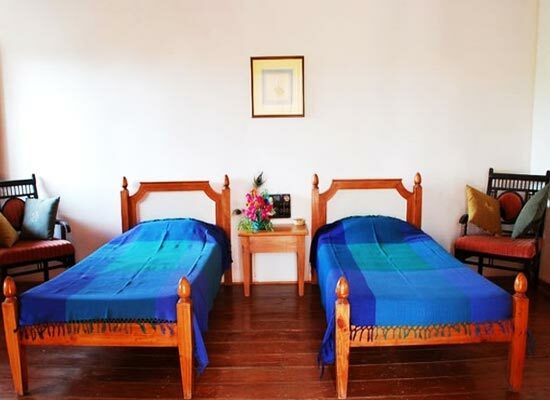 The resort provides spacious and comfortable rooms; with AC, TV and other convenient gears. 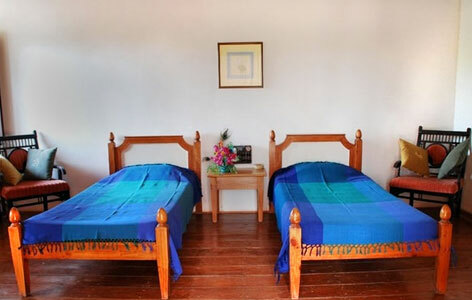 Each of the room has an attached bath featuring hot and cold showers and basic toilet amenities. They offer the Deluxe rooms with maximum occupancy of 2, so in total there are 10 furnished rooms with a total occupancy of 20. 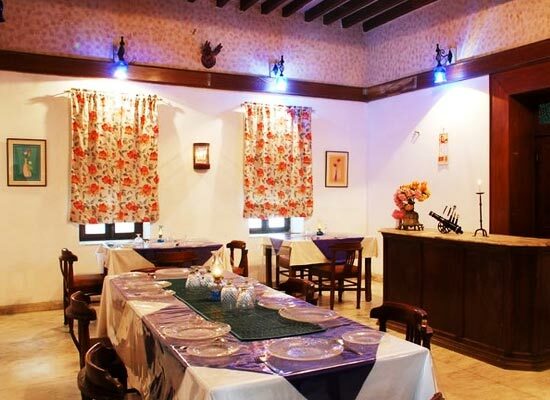 Mainly homemade Indian meals are served in the dining area; however there are choices of some western dishes. They serve vegetarian items from different parts of the country, but one can prepare non- vegetarian items in the room. There is an interesting option of indulging into the traditional and rural Kathiawadi meals with the locals in their farms. Along with an excellent meal in a royal manner, get to know more about the rich past of the princely era through the owners. In order to do this you need to fix a prior appointment with the nobles of the Sayla. Surendranagar district is known as the Hi- Tech city in the state of Gujarat, with several enterprises and industries set up in the area. They trade agricultural products, salt, chemicals, plastics, textiles, Ceramics, cottons and more.